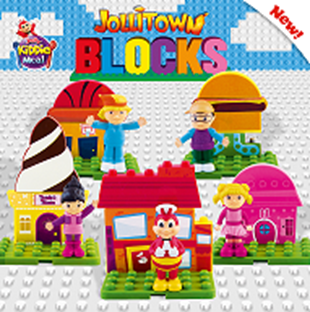 This March, young ones can enjoy awesome playtime as they build and connect houses using the Jolly Kiddie Meal Jollitown Blocks! With the newest set of collectible and easy-to-assemble toys from the country’s largest fast-food chain, kids will surely have fun putting together the colorful homes of Jollibee and Friends. The little ones can simply put stickers on each of the Jollitown Blocks and assemble them to help Jollibee put the finishing touches to his modern house, welcome Popo to his ball-shaped house, build Hetty her dream flower-themed house, excite Twirlie with an ice cream cone-inspired house, and give Yum his very own burger-shaped house. Collect all five toys with every purchase of a Yumburger (P80), Yumburger Meal with Drink (P100), Jolly Spaghetti (P95), Jolly Spaghetti Meal with Drink (P105), 1-piece Burger Steak (P95), 1-piece Burger Steak Meal with Drink (P105), 1-piece Chickenjoy with Rice (P120), or 1-piece Chickenjoy Meal (P135), each with its own Jolly Joy Box. So, what are you waiting for? Hurry and start collecting and building the Jollitown Blocks which are available until March 31 only. Go to the nearest Jollibee branch to complete all five toys.